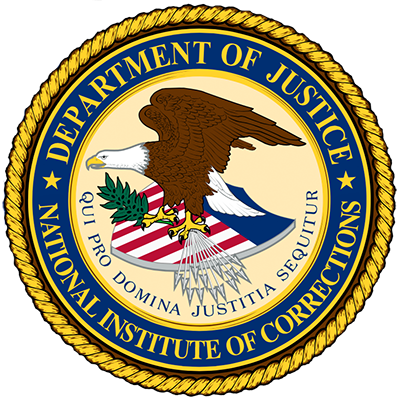 A comprehensive management system, called Inmate Behavior Management (IBM) is being rolled out by the National Institute of Corrections (NIC). It is comprised of six specific elements that work together to control inmate behavior and produce an effective and proficient institution. This document explains “Element 4: Defining and Conveying Expectations for Behavior”. “It is intended to: Review what is known about how positive expectations influence behavior; Identify what concepts are important for jail administrators to understand as they attempt to apply this element to their facilities; and To provide resources that will assist jail administrators in providing training for their staff and in properly identifying positive expectations for inmate behavior “ (p. 3). 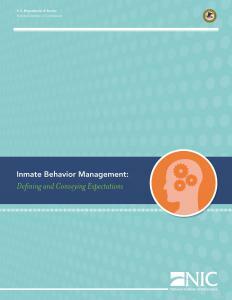 Seven chapters are contained in this publication: setting and conveying positive expectation of inmate behavior; the basics of setting and conveying expectations; setting positive behavioral expectations; the keys to conveying positive expectations; enforcing positive behavioral expectations; monitoring implementation; and support material regarding the multi-site approach and housing unit specific. Appendixes include: “Tier Expectations for Residents”; “Notice to All Residents: Expectations of Residents, and Expectations of Staff”; and “Inmate Behavior Response Continuum (Acting and Reacting to Inmate Behavior)”. Appendixes include copies of: “Defining and Conveying Expectations – Housing Unit Specific” 4 hour lesson plan (trainer’s guide), participant guide, and PowerPoint slides; and “Defining and Conveying Expectations – Multi-Unit Training” 6 hour lesson plan (trainer’s guide), participant guide, and PowerPoint slides.